The office of the Public Protector has launched an investigation into allegations of irregularities in filling of senior management positions at the Mogalakwena Local Municipality in Limpopo. 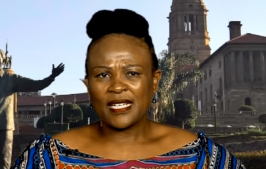 Public Protector Busisiwe Mkhwebane received an anonymous complaint about irregularities in the filling of vacancies. Meanwhile, the Mogalakwena Municipality says all the documents requested by the Public Protector have been submitted. Manager for Corporate Services in the municipality, Mavis Matlala, says the appointment in question was done appropriately. The post PP investigates allegations of irregularities at Mogalakwena Municipality appeared first on SABC News – Breaking news, special reports, world, business, sport coverage of all South African current events. Africa's news leader..